Senior source says reports Israel and Hamas reach deal to return missing soldiers untrue. A senior Israeli source denied reports in the Arab media which said that Israel and Hamas had reached a deal that would return the missing soldiers and civilians the terror group has been holding in Gaza. The source said that there has been no progress between the two sides. Reports by the Arab language newspaper Khaleej said that Israel and Hamas were hammering out a deal via Egyptian and German intermediaries. 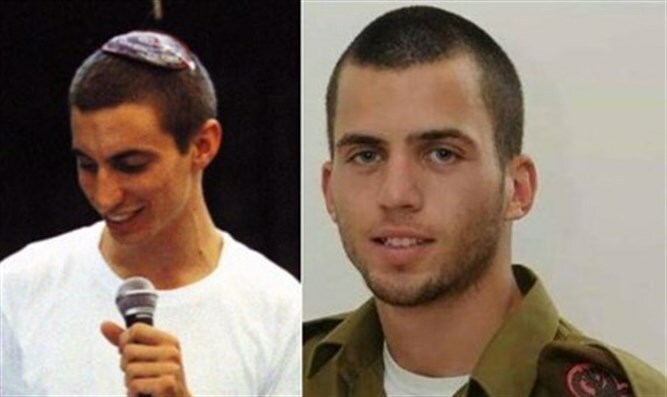 Hamas has been holding on to the remains of fallen IDF soldiers Hadar Goldin and Oron Shaul ever since they were killed in August 2014 during an attack by Hamas terrorists along the Israel-Gaza frontier. Hamas has also been holding on to Israeli civilians Avraham Abera Mengistu, Hisham al-Sayed and Juma Ibrahim Abu Ghanima. Mengistu accidentally strayed into Gaza in September 2014 and has not been seen or heard from since. In 2017, reports said that Israel and Hamas had been close to a deal that would return the captives. Israel would have free 60 terrorists who were released in the "Shalit deal" and subsequently arrested for continued terror activities. According to rumors, Israel would agree to free the terrorists on condition they be expelled to either Gaza or Qatar. However, Hamas rejected this condition.